Explore the Seder as an experience of far reaching significance. 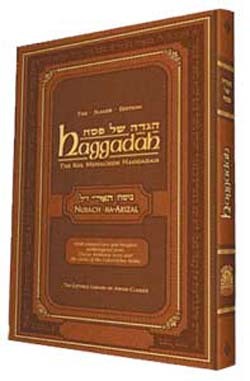 The Kol Menachem Haggadah adds layer upon layer of fresh insight to the age-old celebration of our journey from slavery to freedom. A richly textured commentary which creatively blends traditional, mystical and life-enhancing insights. Each step of the Seder explained in simple language. Ornate Hebrew typography. Luxurious, hand-tooled binding. Insights culled from over 100 classic sources, including Toras Menachem.